All the fighters slated to participate in tomorrow night’s “UFC 148: Silva vs. Sonnen II” event tipped the scale Friday inside Mandalay Bay Events Center in Las Vegas, Nevada. 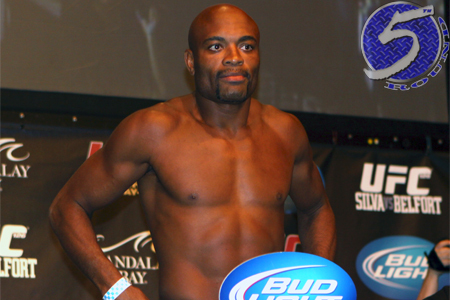 Middleweight king Anderson Silva (Pictured) defends his throne against Chael Sonnen in Saturday’s featured attraction. Their highly-anticipated rematch has been two years in the making. Former light heavyweight champions Tito Ortiz and Forrest Griffin serve as the night’s co-main event. MGM Grand Garden Arena in Las Vegas, Nevada hosts tomorrow’s show.